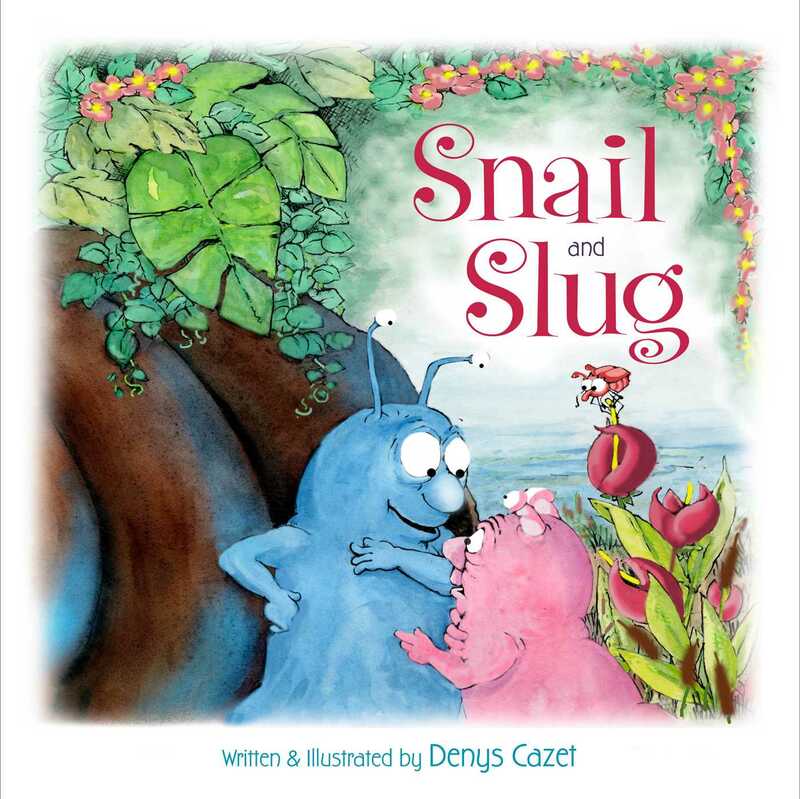 From the critically acclaimed author of The Perfect Pumpkin Pie comes a picture book about the friendship between a snail and a slug that teaches readers how good friends can help you do anything, including finding the courage to make a difference. It’s a hot, hot day and Snail invites her new friend Slug into her home for some iced tea—who knew that a snail’s shell is so roomy! When the two decide to have a picnic outside in the shade, a big mean ol’ banana slug demands that they fork over their lettuce! But with a little bit of courage, friendship, and a dash of salt, the pair will find the strength they need to stand up to him. On a beautiful sunny day in the forest, Snail and Slug discuss the need to protect their sensitive skin from the heat of the sun.Slug remarks that Snail is very fortunate to have a house to crawl into.Thoughtfully, Snail kindly invites Slug in for a visit. As they tour Snail’s lovely home, the ladies get to know each other a little better. Snail loves to read, while Slug is a terrific cook. They decide to have a picnic; Slug will provide the delicious menu, and Snail will read after they lunch. Their delightful afternoon is disturbed, however, by an enormous banana slug threatening to steal their food and maybe even eat them! With quick thinking and a handy saltshaker, disaster is averted, and the two realize that life would be better together. This book has it all—friendship, kindness, adventure, a villain, and even a little sadness as Snail and Slug mention the loss of their mates. Not only are the bright and cheery watercolor illustrations warm and inviting, they also add heart and feeling to the pleasing text. Life with a friend makes each day a little brighter. VERDICT A cozy picture book read-aloud in the same vein as Arnold Lobel’s beloved “Frog and Toad” books. A solid addition. When Snail invites Slug into her shell “by the edge of a small creek” on a particularly sunny day, readers will be charmed by the surprising turn of events. Snail’s shell may look too small, just like your average swirly snail shell, but, as Snail exclaims, “You can’t always judge a book by its cover.” Slug is delighted to discover that Snail’s shell is spacious and bright, including rooms like a kitchen (perfect for cooking, Slug’s favorite hobby); a living room; a bedroom; and a magnificent library (Snail adores a good book). Their welcoming, nonchalant, and calm personalities lead to a fast friendship. The story starkly takes a bully-driven turn of events when the two decide to enjoy a picnic: an unexpected (and mean) visitor lurking in the bushes tries to ruin their pleasant afternoon, but it’s nothing a little salt can’t fix! Cazet’s colorful, cartoonish art has soft edges and a warm palette, befitting the friendly story. Quiet, odd, and elemental, this is a nice, offbeat addition to collections of friendship tales.